Sonny Rollins has announced his formal retirement from performing, but it’s not the first time he’s left the public stage. The first time led to a bridge, this time, we get to hear his whole story of the journey. Saxophonist Sonny Rollins sighs at the memory of his “crush” on one of the great ladies of Jazz, his mood swings from upbeat to reflective as he talks about growing up in Harlem, the influences that shaped his life, and ultimately his road to becoming one of the great Jazz Saxophonists of our time. 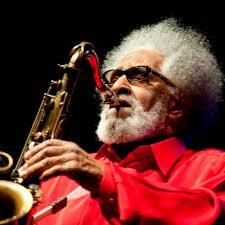 Sonny Rollins. 88 years strong and enjoying the respect and honor that comes with artistic acclaim, travels and performances worldwide. He’s been awarded the National Medal of Arts by President Barack Obama in 2010, and had his work and artifacts permanently installed in one of Harlem’s premier institution, The Schomburg Center for Research in Black Culture. On the “Sonny” Side of Harlem is hosted by longtime Jazz aficionado Debb Moore. Rich with many clips of Rollins sharing his story, we hear his path to artistic accomplishment, his insights about life, and notes from a life well lived. Thursday night at 6, Sunday night at 5 on WZUM, the Pittsburgh Jazz Channel. Presented thanks to the African American Public Radio Consortium Network.